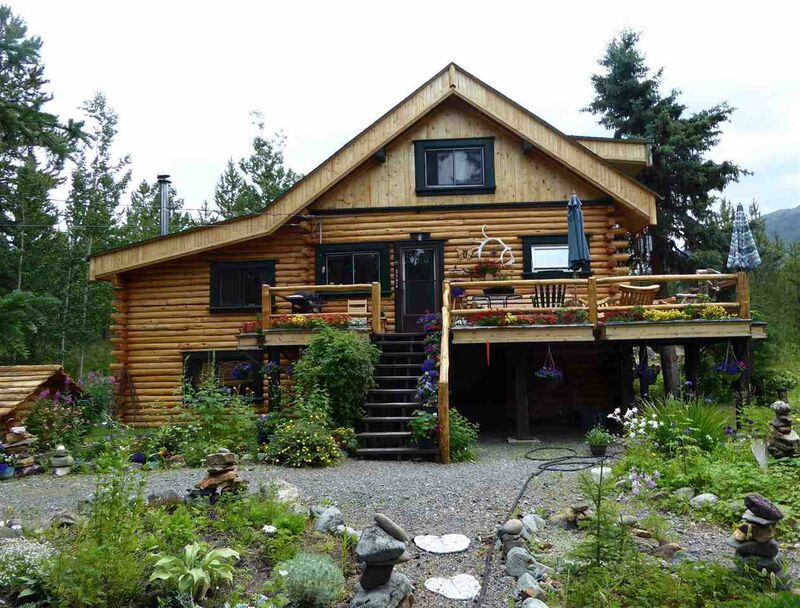 Complete seclusion just minutes from the centre of Atlin, this 1.79 backs onto Pine Creek. 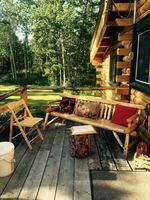 Log home with partial above ground walk-out basement surrounded by landscaping enhanced by underground irrigation from the creek. 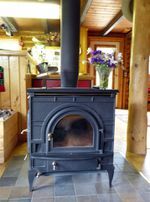 Open floor plan with wood stove which can heat the whole home, bedroom and bath on the main level while the upper level has a huge den with built-in guest beds as well as a huge master. 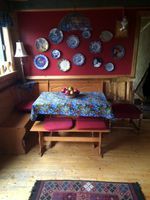 The lowest level (basement) is great workshop/utility space with direct access outside. Solid construction, built on bedrock. Home is filled with unique furnishings. At this price, this one won't last. 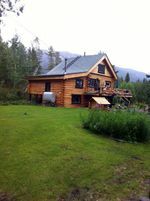 REALTOR will be in Atlin Sept 3 for viewings and offers (if still available).